Product prices and availability are accurate as of 2019-03-19 08:33:00 EDT and are subject to change. Any price and availability information displayed on http://www.amazon.com/ at the time of purchase will apply to the purchase of this product. A New Standard in Closet Flanges. The world's only leak proof toilet flange. Coldwell Flange protects the owner's property where others fail. Every flange is designed to anchor the toilet to the floor and seal the sanitary piping. Toilet flanges were never designed to seal to the floor- Until now. 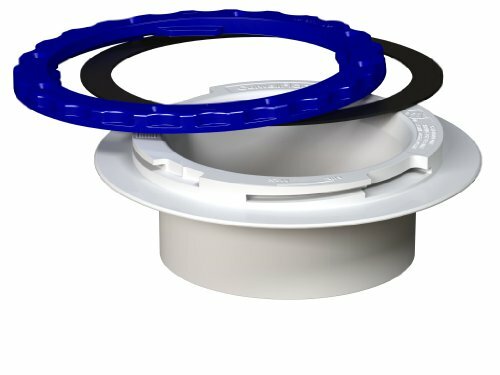 This revolutionary design is the only one of it's kind that seals to both the floor and toilet, creating an impenetrable water-tight seal, preventing water leakage into the sub-flooring, thus saving property owners and managers thousands of dollars in time and repairs over the life of the property. Coldwell Flange is the Solution! No More costly repairs when the wax ring fails, when toilet overflows, when tub spills over, or when flange breaks. Coldwell Flange offers increased value to installers, designers, property managers and owners, while decreasing liability exposure that flanges on the market today do not provide. For additional uses and benefits: a floor-mounted western toilet in a shower room is now made possible (adopting the American Wet room), ideal for small spaces and accessible bathroom designs. Install in either new construction or during remodeling and renovations. No need to use another flange again nor install a replacement ring because of a broken flange. No leaks, no repairs.no kidding. 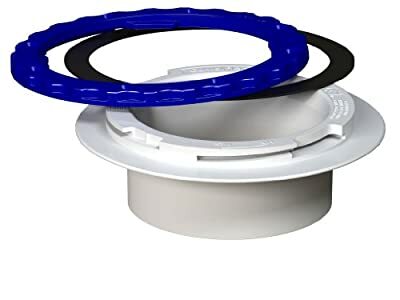 When laying new flooring surface in bathrooms and/or remodeling this is the perfect time to replace your existing closet flange with Coldwell Flange. Install it right the first time. Fix it and forget it. For use with common, impermeable sheet goods and under tile floor-covering membrane liners from 30-100 mils thick. Complete technical data sheets and easy to install videos can be found on www.culwellflange.com. 13 available models. Coldwell Flange is proudly made in USA.